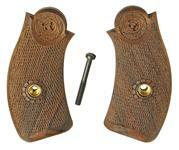 Now's the perfect time to upgrade your H&R top break revolver with a pair of beautiful walnut grips. 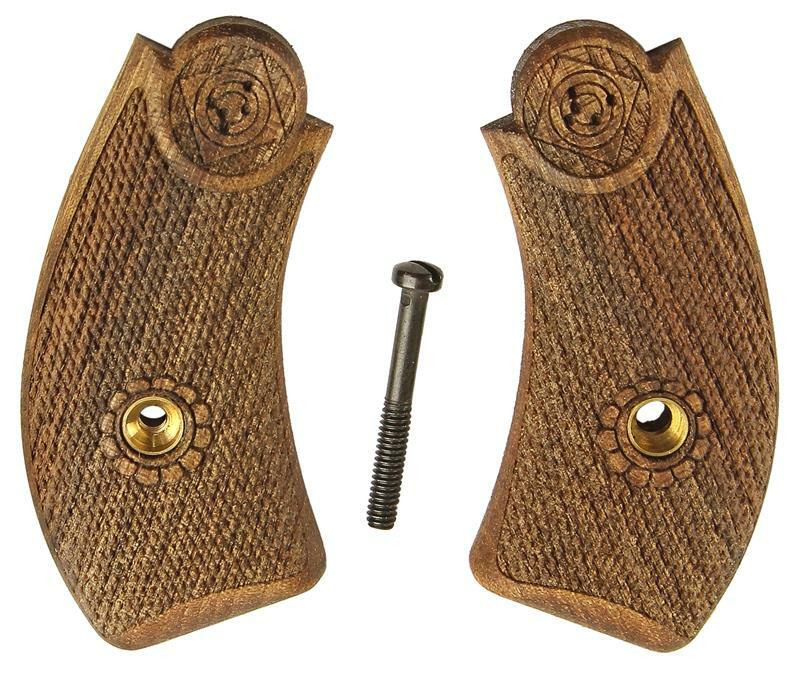 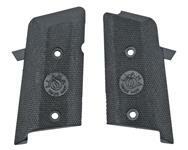 These oil finish grips feature precision laser-cut checkering and bullseye emblem, closely matching the original design. 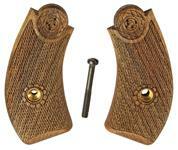 Grip screw and escutcheons are included, as well as frame alignment pin holes. 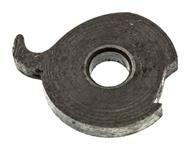 Note: Minor fitting may be required due to variations in frame alignment pin locations. 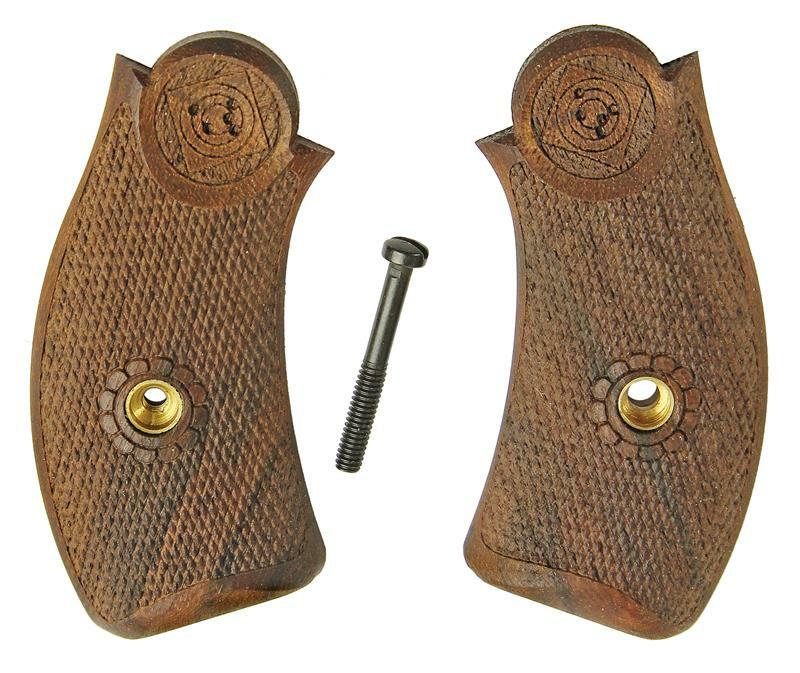 For large frame models - 6-shot .32's and all .38/.44's.